New Haven’s August Panhorst, batting in the cleanup spot, unleashed on 3-2 count fastball into deep center field, watching as the ball sailed over the fence for a three run blast and his first career home run, giving his team a 3-1 lead. Tate Hendricks dives into thrid base. Ballwin answered by scoring three runs in the second to regain the lead 4-3. After the Vipers went scoreless in the bottom half the inning, they exploded for four runs in the third thanks to timely hitting from Spencer Breckenkamp and New Haven’s Brandon Bergner as the Vipers took a 7-4 lead into the fourth inning. Due to a time limit, the fourth would end up the final inning of the game. 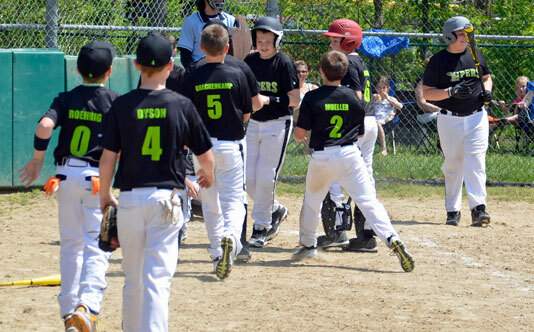 The Patriots refused to go down easy, scoring three runs in the top half of the fourth, knotting things up at seven. Tate Hendricks representing the game winning, drew a one out walk. On the ensuing pitch to Gavin Mueller, the Vipers now had the go ahead run (Hendricks) in scoring position and setting the stage for a dramatic ending. Mueller would lay down a perfectly placed bunt down the 3rd base at the same time Hendricks was stealing third. As the Patriots made the easy play at first, Hendricks rounded third and would score the game winner, giving the Vipers an 8-7 win. 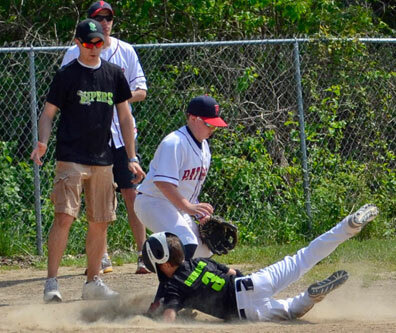 To say the Vipers are off to smoking hot start would be an understatement; as a team they are batting a crazy .316 and have outscored their opponents 98 to 29 in just nine games. 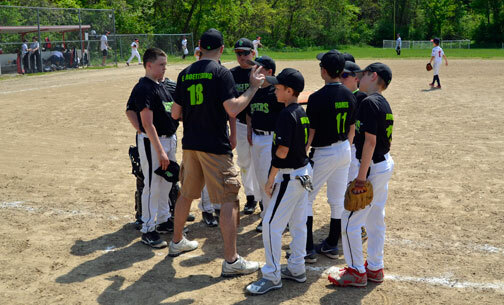 The Vipers will next play in this weekends Mother’s Day Tournament being held in Ballwin and Ellisville. Starting pitcher Roel Flores went two innings giving up 4 runs while striking out 4. 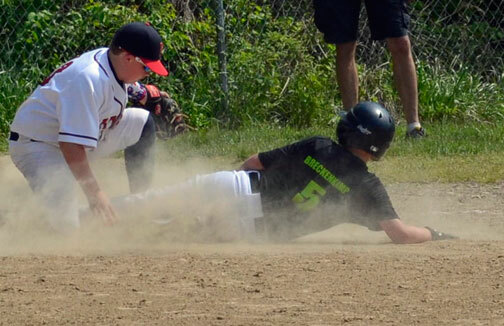 Breckenkamp slides into third base.